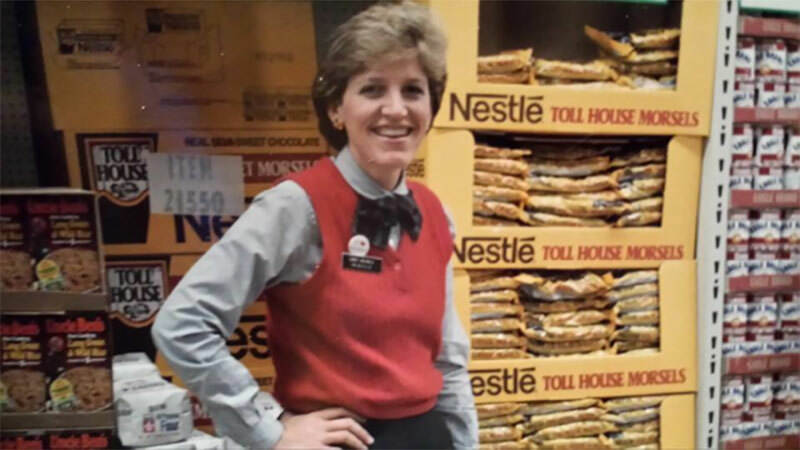 Cindy Sorensen at a Cub Foods store during her days with Nestlé. I began my grocery industry career as a retail sales representative for Nestlé Foods. 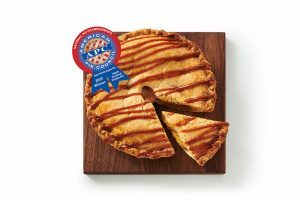 I lived in a suburb of St. Paul, Minnesota, and I was responsible for selling the full portfolio of Nestlé Foods’ products to 65 independent grocery stores in St. Paul and western Wisconsin. The year was 1983, long before many of the grocery wholesalers serving the independent market had consolidated. Those 65 stores were served by a total of six wholesalers. • Hard work. I not only sold displays to these stores, but I built the displays, I cut in new items and I singlehandedly sold in shelving concepts and reset entire categories in 65 stores; the term “planogram” didn’t exist. I also worked with the owners and managers to schedule ads in the local newspapers for the products I represented. The work I did in these stores paled in comparison to what I observed the owners and managers doing. 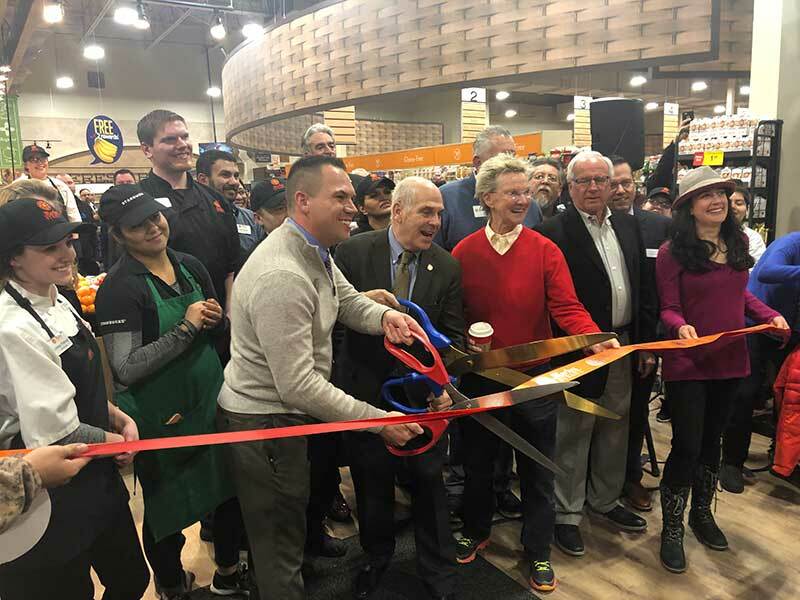 They worked well beyond their eight-hour shifts; they were on call even when they were away from the store; and they pitched in and performed any job necessary to ensure the store was ready to deliver the best customer service for its shoppers. This included bagging, stocking, running the cash register and sweeping and mopping the floors. • Shopper analytics. Every category in every store was designed around the needs of the shopper in that community. Scanners did not exist; therefore, there was no scanner data, no syndicated data available for making shelving, merchandising, promotion and pricing decisions. Shelving strategies were developed based on insight from store owners and department managers and their observations of their ordering patterns and their customer demographics. They knew their shoppers so well, they knew what to stock to fulfill their needs; no need to carry large packs of anything in a community populated predominantly with senior citizens. • Problem solving. On any given day, making my rounds to my appointed stores, I witnessed a multitude of problems an owner had to solve and solve quickly without any interruption in service to their shoppers. These problems ranged from late trucks, broken freezers or coolers, employee issues, robberies, fires and injuries (including my own when a 1-lb. can of Hershey syrup fell from the top shelf, while I was resetting the section, and landed on my foot, causing a pretty bloody scene). I’ve seen them handle all of these problems with the utmost of composure, grace, patience and achievement. • Customer service. This was the greatest thing I learned from independent retailers throughout my career. As competition entered their markets and new channels of distribution emerged, one thing independent retailers continued to always consistently deliver on, over and above their competition, was, and is, customer service. They are the place in town where “everyone knows your name.” They are the community center. They stock the items their community wants without the need for approval from someone who maybe has never been to their community. They are there to support the local sports teams, the local schools, the local clubs and any other cause important to those they seek to serve. I’ve seen them pick up trash in the parking lot, carry out groceries, deliver groceries to a shut-in, help someone short of cash at the checkout, donate to their local food shelf and homeless shelters, and I’ve seen them smile at their customers when I knew they were worried about many things which kept them up at night. When I think of the people in my life who had the greatest impact on my career, there is a long list of independent store owners and managers about whom I think. I am thankful for the positive impact they had on my career…and my life.